Summit Racing now carries BluePrint Engines' 383/445 HP Chevy Power Adder Crate Engine and HVH Super Sucker Carburetor Spacers for performance enthusiasts looking for a supercharger-ready engine or extra horsepower for a race engine. The BluePrint Engines’ 383 C.I.D./445 HP Power Adder Crate Engine is covered by a 30 month/50,000 mile limited warranty—darn good for a hot rod engine. Super Sucker carburetor spacers. The spacers have a four-hole carburetor base that seamlessly blends the carb bores into an open plenum at the intake manifold. This best-of-both-worlds design is proven to improve midrange and high RPM output. HVH says gains from eight to 20 horsepower are possible depending on application. The plastic Super Sucker carburetor spacers are designed for drag race use only. 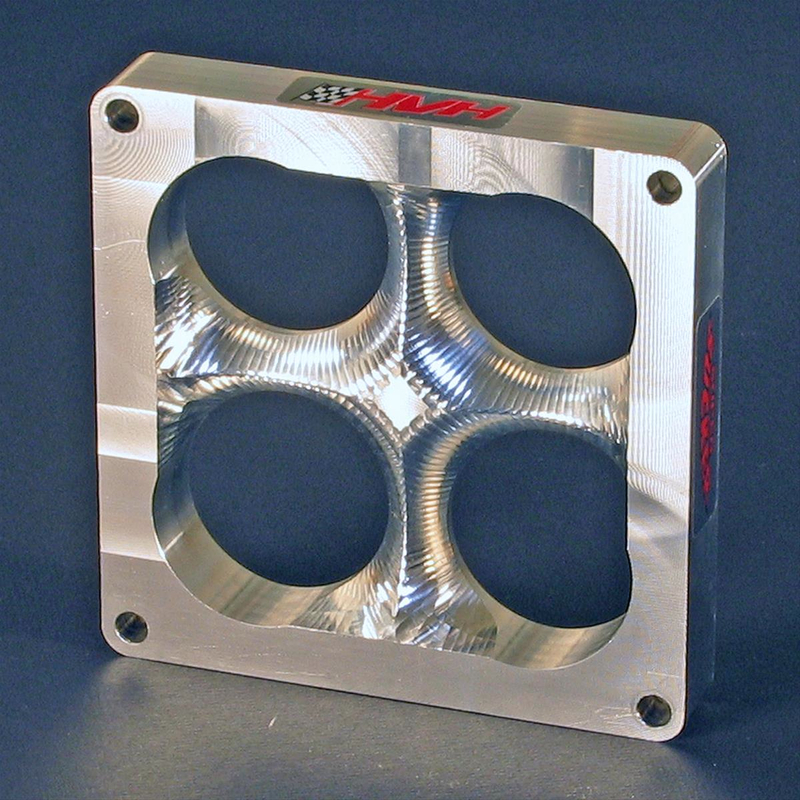 The aluminum spacers are ideal for circle track, road race, and off-road use. They are available for 4150/4160 squarebore, Dominator, and two-barrel carburetors. Summit Racing also offers HVH Super Sucker carburetor spacer/adapters. 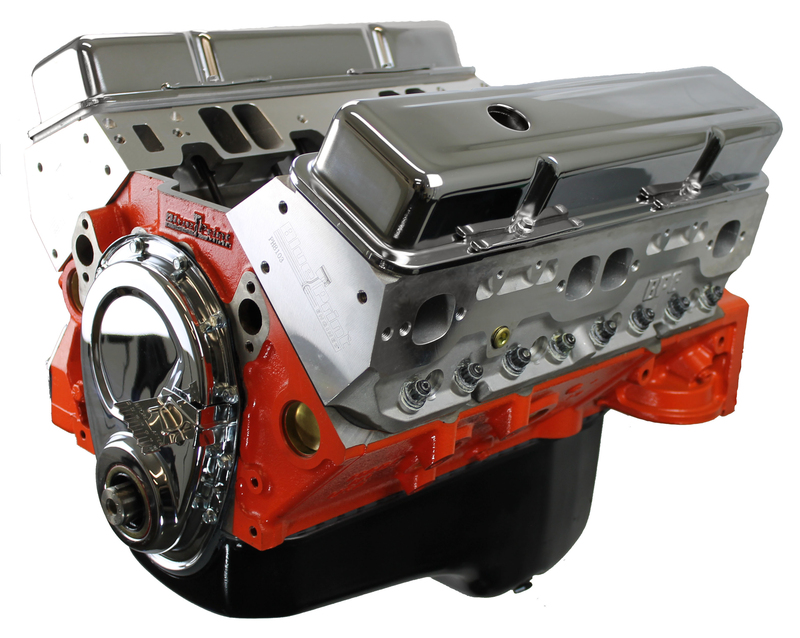 They feature the same power-building design as the Super Sucker spacers, but adapt a 4150 style squarebore carburetor to a Dominator pattern intake manifold, or a Holley 4412 two-barrel carburetor to a four-barrel squarebore pattern manifold.